The upgrades will improve the “parkability” of grass lots that become over-saturated due to rain. Gravel drive aisles will be installed in Lots 31 and 43 — formerly the Purple and Blue RV lots, respectively — as part of the upgrades. Additionally, Penn State will invest in drive aisle reinforcement products in Lot 17, which is by the Pennsylvania State University sign on the North side of the stadium, and Lot 18 (formerly Green Stadium West). These changes will help prevent rutting in the drive-through aisles. The restoration of Lot 17, which remained open when other grass lots closed due to wet conditions, has been completed. Drain tiles were already included in work on this lot, but it’s now fully restored. 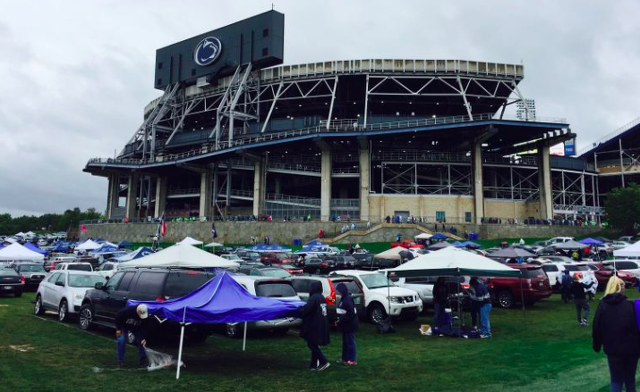 Several grass lots were closed for Penn State’s games against Iowa, Wisconsin, and Maryland due to the amount of rain that fell on Happy Valley in the fall. Athletic director Sandy Barbour stated her intention to improve the game-day parking experience around Beaver Stadium at her pre-Citrus Bowl press conference in Orlando. Athletics previously announced the new North, South, East, and West parking system in November. The one-way traffic pattern timesassociated with the new system were announced on February 28. 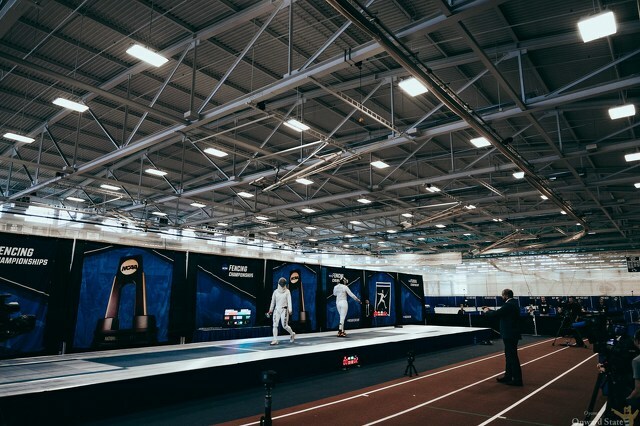 On top of the parking upgrades and renovations, Penn State also announced the general parking selection process for the 2019 season is expected to begin by April 30. Fans who had season general parking passes in 2018 will get priority for this season’s permits, and selection process times will be given based on Nittany Lion Club point totals. Season ticket holders who don’t have a season parking pass will be able to access the selection process once its second phase begins at a later date. Fans who don’t confirm their interest in purchasing a parking pass for the 2019 season with Penn State athletics won’t be eligible for the second phase of the selection process. If you have 1-4 season tickets, you’ll only be able to purchase one parking pass. Season ticket holders with 5-8 seats can purchase two passes, and fans with 9-12 season tickets can buy three parking permits.